Sometimes it simply takes a new piece of furniture to get the juices flowing. 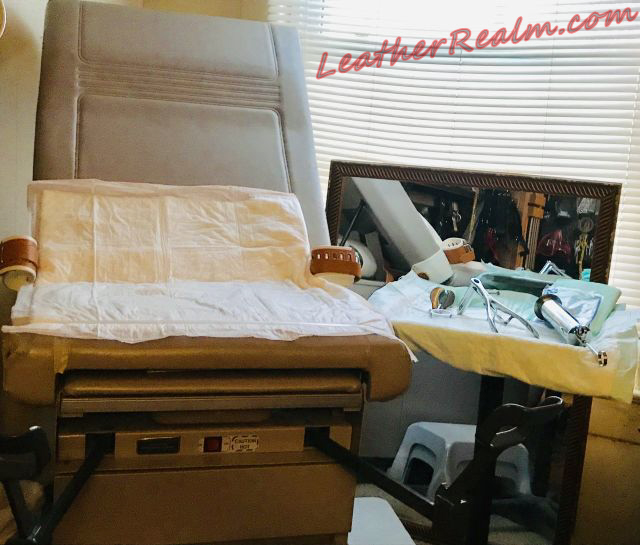 The exam table is set up with it's stirrups spread out and extended. The silver tray, displaying various speculums as well as an enema syringe to prepare My patient for their exam.